First of all, a quick apology that I've been gone for so long! I completely didn't intend to not post for 10 days or so, but I had my uni exams so it was all a bit hectic then I had to take plenty of photos of all the new products I've got over the past few weeks! However, I'm back today with a big one. What's this? When Jaclyn Hill announced her newest collaboration with Becca, I knew I had to get my hands on it. The collection consists of the face palette, eyeshadow palette (now discontinued! ), a cream formula and a liquid formula. I was on Sephora the moment it launched and got it shipped all the way from the US! 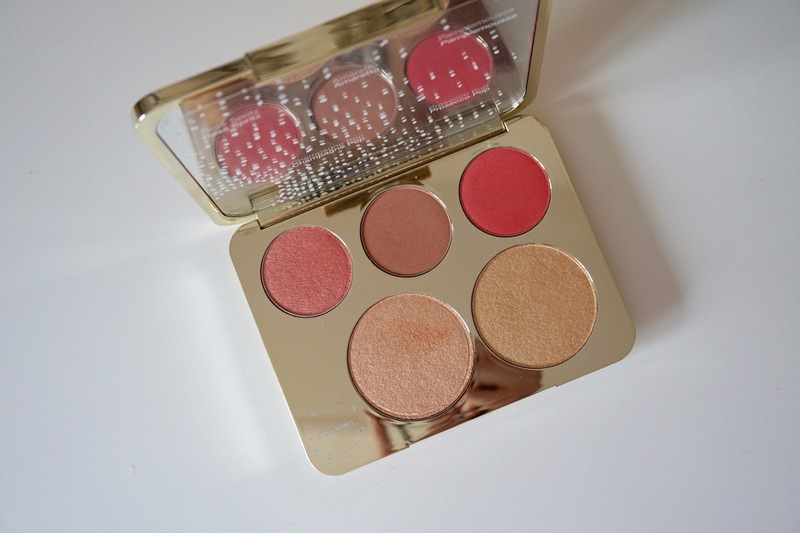 The face palette consists of 3 blushes (Rose Spritz, Amaretto, Pamplemousse) and 2 highlighters (Champagne Pop and Prosecco Pop). It is all cased in the most beautiful white and gold packaging that looks rather beautiful on your dressing table. Where can I get it? It's currently out of stock on Sephora, but it is coming back on June 16th online. This is the first time I've ordered from Sephora to the UK, but I have to say I was extremely impressed. Yes, it is more expensive than buying from a UK site, but for brands/products that you can't get over here, I'd say it's worth it! You get full tracking info, and my product was with me 4 days after I ordered, packaged very securely. However, it is coming to the UK! You will be able to get it from Cult Beauty and Space NK (you can get an email when it comes to Space NK here) in July. It will be £48 - which works out at around £9.50 per product! When each highlighter is full size, it's really a very reasonable price. The Pros... This palette really is just amazing. I fell in love with Champagne Pop when I got it for Christmas, so I knew this palette wouldn't disappoint. The pigmentation is phenomenal - I literally just tap my brush into the blushes to get the right amount of product. Everything blends out beautifully, and each of the colours are all extremely wearable for every skin tone. Amaretto looked a little dark for my skin tone originally, but after trying it recently, I just looked like I'd used a matte bronzer, which looked really nice and natural. You can see it in action in my upcoming makeup post on Wednesday. 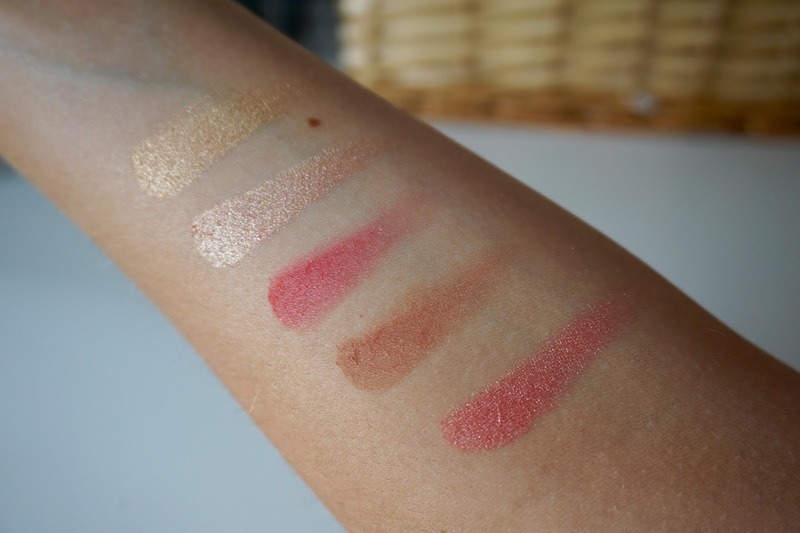 Rose Spritz is by far my favourite blush colour from the palette though, and I am yet to try Pamplemousse. Both the highlighters are phenomenal. As you can see from the swatches, they are very different - with Prosecco Pop being a much more yellow gold, similar to MAC 'Oh Darling' and Laura Gellar 'Gilded Honey'. Jaclyn suggested using Champagne Pop on the cheekbones then popping Prosecco Pop on the apples of your cheeks for a super highlighted look. I've been doing that and it works great! What do you think? Are you going to get this palette? Let me know your thoughts in the comments!